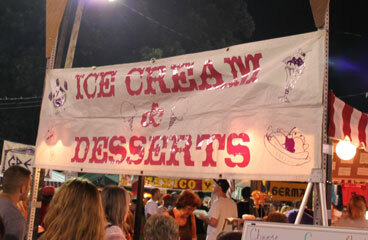 Founded in 1960, it’s the Pittsburgh area’s best celebration of traditional food, music, dancing, clothing and crafts! It’s one of the Pittsburgh area’s oldest and largest ethnic festivals, back for its 59th annual celebration! 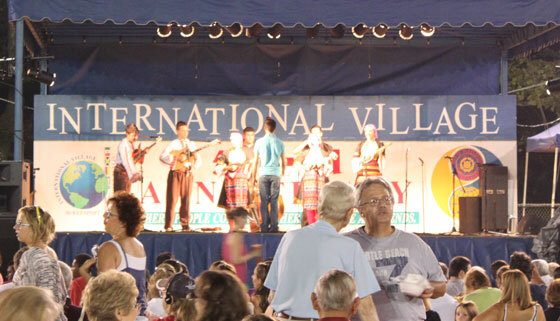 Founded in 1960, International Village in McKeesport, Pa., is a three-day celebration of shared traditions and heritage, including food, music, dancing, traditional clothing and crafts. Food, dancing, and continuous entertainment! Each year, you’ll find more than a dozen booths selling freshly-made ethnic foods from around the world, continuous live entertainment, live music for dancing, crafts, community information and games, plus short educational sessions about world cultures, presented by the same organizations whose food booths—each representing a different nationality or culture—have been a Pittsburgh-area tradition for more than a half-century. International Village is entirely run by volunteers, including many of the ethnic churches, temples and social organizations in the McKeesport region. It annually draws more than 20,000 people to McKeesport’s historic Renziehausen Park, home to many other attractions, including an extensive walking/fitness trail, a heritage museum and Pennsylvania’s second-largest rose garden. McKeesport’s International Village℠ is about 20 minutes’ driving time from Pittsburgh and less than one hour from most of Western Pennsylvania, easily reached via U.S. Route 30, Pennsylvania Route 48, the Pennsylvania Turnpike and I-376 (the Parkway East). 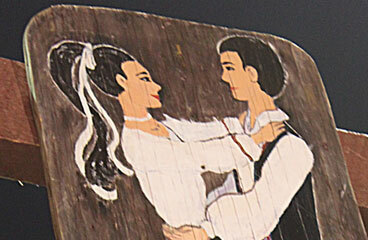 Plan to join us for an evening of food, live entertainment, dancing and traditional crafts! International Village began in July 1960 as part of a 10-day celebration of McKeesport history called "Old Home Week." 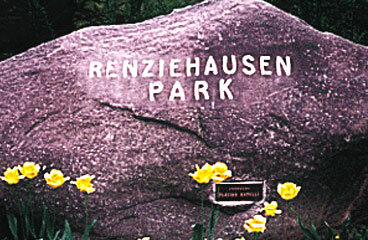 Located at Renziehausen Park in McKeesport, Pa., near the intersection of Eden Park Boulevard and University Drive. Featuring the foods, music and traditions of nationalities, cultures and regions including Africa, Asia, Europe and the Americas. Information about health, safety, and security.